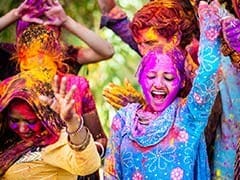 Holi 2019: The festival of colours is round the corner! Try making some healthy gujiyas by using healthy ingredients like nuts, dried fruits and seeds. Some people also experiment with the cooking method like baking or air-frying the gujiya. Holi is the most colorful festival of the year and gujiya is the most inevitable part of Holi, apart from the colors, of course! A typical gujiya is a semi-circular crispy dumpling, made of maida, stuffed with khoya and some nuts, deep-fried in desi ghee and generously dipped in sugar syrup. It is prepared in millions of households, apart from the lakhs of mithai shops, big and small, all over the country, around this time of the year. Apart from its traditional avatar, you can now see it in different shapes, from circular discs to samosas. To celebrate any festival in its true spirit, we must do everything that's traditionally associated with that festival. Traditionally, our grandparents started preparing delicacies associated with a particular festival many days in advance. While it's important to savor the traditional delicacies, it's easy to go overboard and indulge, what with a plethora of bhang, poori-kheer, thandai and gujiya all around. So it's important to not only exercise restraint in portion size, but also to make some healthier substitutions and prepare the sweets at home. Quick And Simple Tips To Take Care Of Your Skin And Hair This Holi! 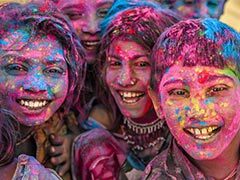 While most of us like the idea of heading out to play Holi with colours, it comes with its own set of issues like dry and frizzy hair, pimples and breakouts caused by the blatant use of artificial colours made with the help of chemical solvents and toxic agents. Dr Kiran Lohia reccommends using petroleum jelly or balm on the face to prevent skin damage. Substitute maida with a healthier flour like suji or whole wheat. Health freaks could experiment with millet flours or oat flour as well. 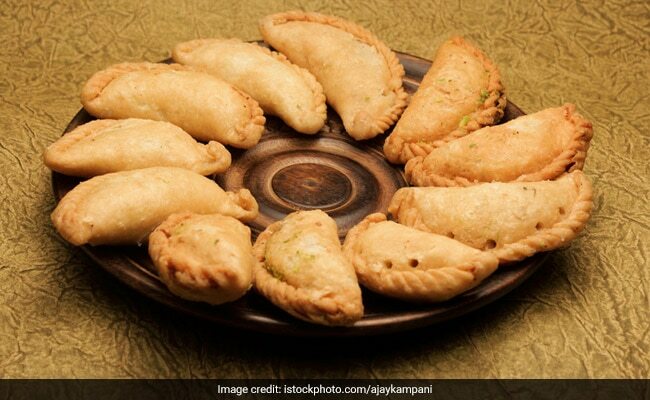 Some people also experiment with the cooking method like baking or air-frying the gujiya, though none turns out as crispy as the deep-fried version. The best choice for frying medium obviously is desi ghee. Desi ghee is safe as the smoking point is high. It also slows down the breakdown of sugars and lowers the glycemic index of your sweetmeats. Some people also replace the sugar with artificial sweeteners, though I personally don't recommend the use of any artificial sweeteners or stevia. However, you could resort to the lesser refined sugar variants like khand, brown sugar, demerara, jaggery or honey, though it just makes a small difference to the total calories. Also read: Quick And Simple Tips To Take Care Of Your Skin And Hair This Holi! However, together a few of these substitutions can make a substantial contribution. Yet, what is more important is to do everything in moderation as moderation is the key. Wishing you all a very happy, colorful and healthy HOLI!! !